Alternate History novel Saving Jackie K outlines the power wielded by career G-man, J. Edgar Hoover. Would a threat to his FBI kingdom provide the impetus to assassinate the thirty-fifth president of the United States? 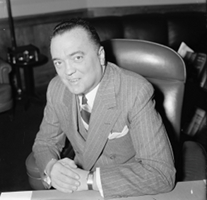 Born before the dawn of the twentieth century, J. Edgar Hoover grew up to become the first director of the FBI, and held the office for the longest term in history, from its founding in 1935 until his death in 1972. 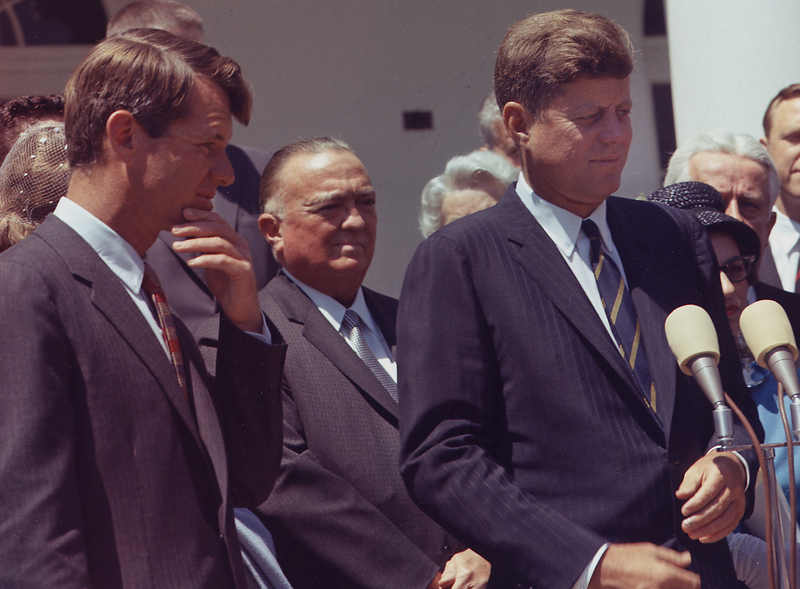 At the time of President Kennedy’s assassination, Hoover had already cultivated his empire for forty years, working alongside six administrations through ten presidential terms. Having initially been appointed to directorship of the ‘Bureau of Investigations’ in 1924, he spearheaded the transformation of the agency into the efficient crime-fighting bureau known today. Early in his career, Hoover promoted another young man, Clyde Tolson, to be his second in command as an associate director, and the gentlemen worked side by side from 1930 until the end. Although they maintained separate residences on the outskirts of Washington DC, the two men were driven to work together each day, with Tolson picked up first in the morning and dropped off last in the evening. Longtime companions, they frequently dined and vacationed with each other. When Hoover passed away, Tolson inherited his estate, and accepted the US flag that was draped over his coffin. 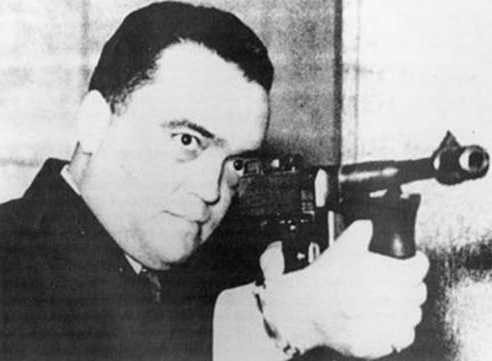 Under Hoover’s leadership, the FBI made significant strides over a string of violent bank robberies known as the Gangster Wars. In his own words, “Banks are an almost irresistible attraction for that element of our society which seeks unearned money.” Hoover’s agents captured or killed outlaws such as John Dillinger, Machine Gun Kelly, and indirectly, Al Capone—by the Bureau of Prohibition, which operated under supervision of the FBI. 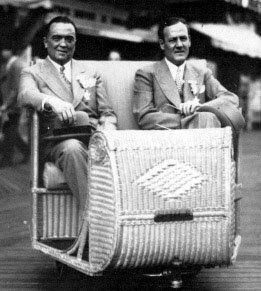 Despite these triumphs, Hoover was widely perceived as too lenient on the Mafia, even purportedly denying its existence. 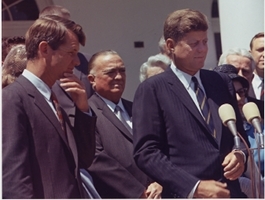 During Kennedy‘s brief tenure in the White House, rumors floated that he considered dismissing Hoover, but worried that the political cost would be disastrous. Hoover allegedly maintained secret dossiers on presidents and their administrations as leverage to maintain his powerful position. 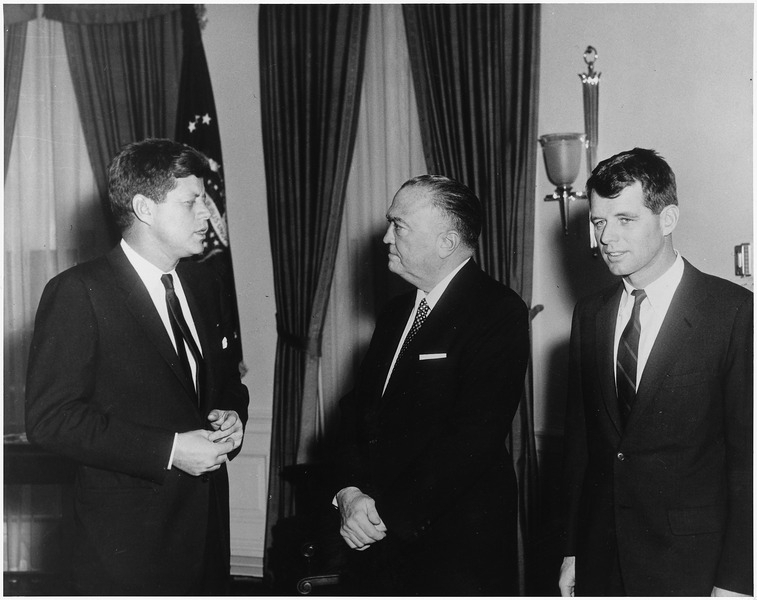 After JFK was assassinated, Hoover led an FBI investigation independent of the Warren Commission’s. His agency also fingered Oswald as the lone gunman. In 1964, as Hoover neared his seventieth birthday, then-president Lyndon Johnson waived the mandatory government retirement age of seventy for the director, thus granting him the position for life. LBJ enacted this provision just prior to Hoover’s testimony in front of the Warren Commission.